We said our goodbyes and left Kisii about 9:30 am, driving as far as Norok, where we met our safari guides/drivers. They then took us to the safari camp, about a two hour drive, mostly off road. It was much different than what we expected. 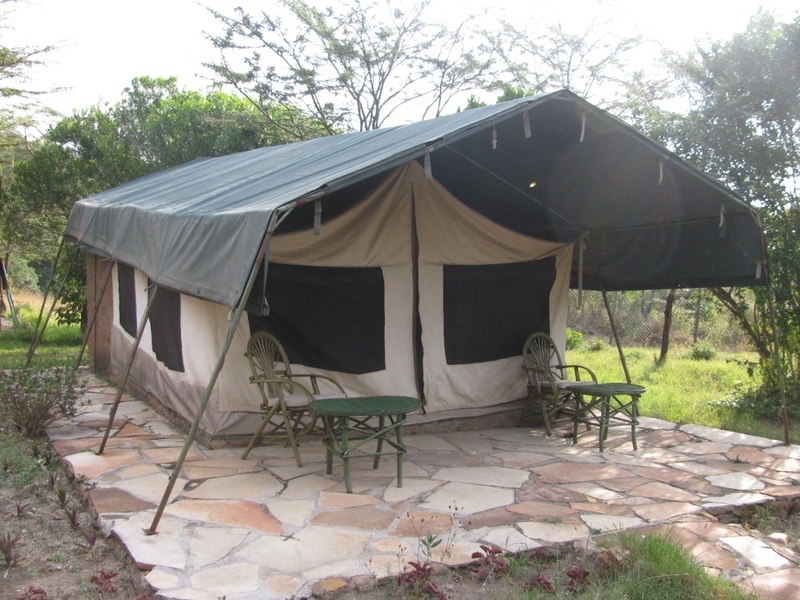 We are sleeping in permanent tents on concrete slabs, each with a regular bathroom attached. These are the upgraded accommodations. There are other tents on the ground with out door bathrooms, and still other tent sites. Not fancy, but softer beds, better showers, and better food than the hotel in Kisii. We've already seen some animals on the way here: gazelle, zebras, giraffes, wildebeests, and cebus. This part of Africa looks like what you would expect. Dry, expansive plains, Masai huts here and there, acacia trees and mountains off in the distance. Supper was beef stew, mashed potatoes, green beans and carrots, pasta, cabbage and fruit. The fruit wasn't as good as Kisii, but there's hardly any agriculture where we are. 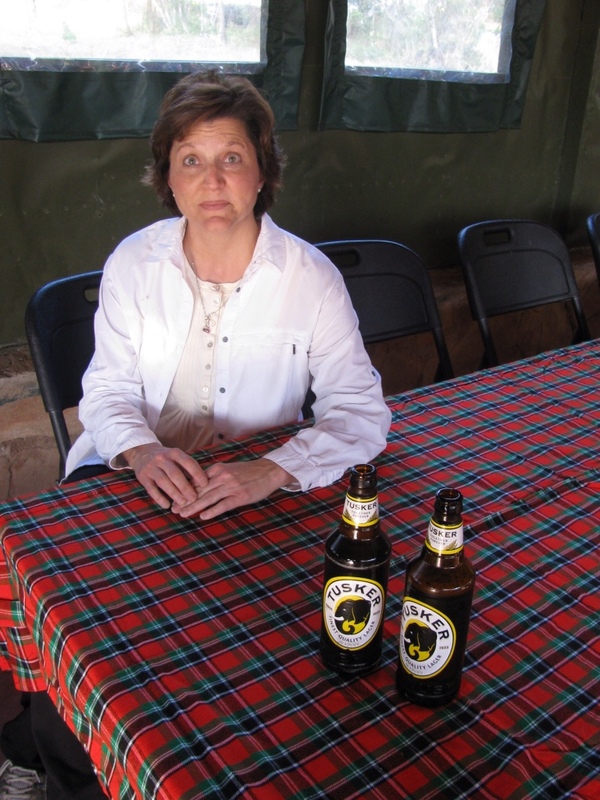 Oh, and most importantly, half liter bottles of Tusker beer, which tasted great. Rule number one here: zip up your tent. We already saw monkeys stealing stuff from a tent that someone hadn't zipped up all the way. We are out of here bright and early tomorrow morning for an all day outing. Others we talked to today said they saw a herd of over 80 elephants and countless wildebeest, which are running right now.